The hidden side of Grips.
. There are several makes and materials out there you may choose from. There are over grips and cushion grips. Choosing the right grip for you will depend on your own preferences as well as the playing conditions you are in. Wearing wristbands aids at making your grip last longer while also keeping the racquet grip dry, as a general rule the more you sweat the more you may need to look into replacing and keeping your racquets´ grip nice and fresh. Cushing grips are great aid for preventing injuries such as tennis elbow. Tennis Shoes. Get a good grip from the court. Wear tennis shoes: wearing the right tennis shoes on a tennis court is often overlooked. It is important to consider which surface you are playing on and get the right sole accordingly, i.e. Clay, hard, grass, this will not only aid you at getting a great grip on the court and at sliding safely but also at preventing self-injuries or court damage. Wearing regular trainers on a tennis court is not recommended as you may also damage your own shoe. Racquet Strings. Get a good grip from the ball. 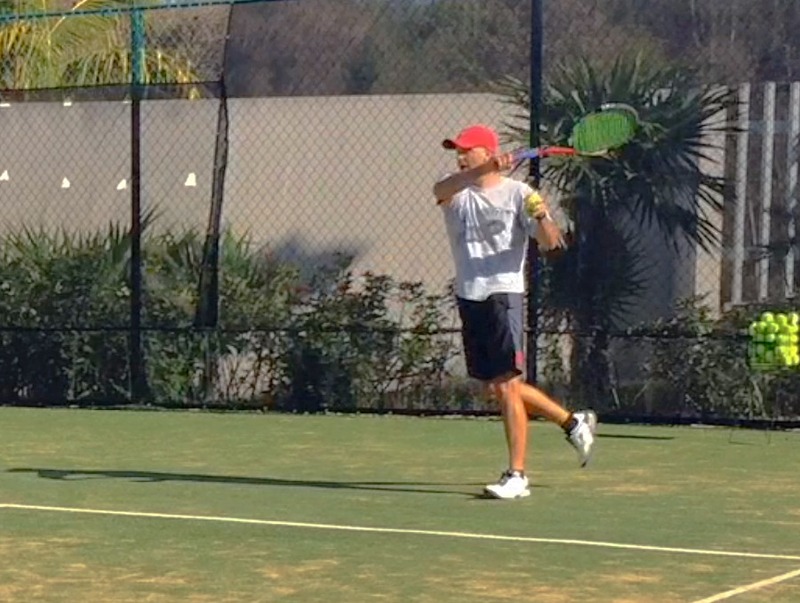 Yes, strings act as the ultimate grip during practice and play because their properties allow you to actually ´grab´ the ball when you make contact, this is done so by applying undersping or topspin which is a must in today’s game. Strings may be available to you in many makes, gauges and materials. You may ask your local Pro which set or combination may be the best fit for you. Hybrid stringing has also proved very effective. Get the ultimate ¨ball grabber¨ you can get a hold of, it pays off.